The Vanderbilt Digital Humanities Group is open to anyone connected with the Vanderbilt community who is interested in digital communication and collaboration. The group encourages critical conversations among scholars at Vanderbilt and the larger HASTAC community. The digital era has greatly expanded our potential learning landscape. Our group seeks to explore these boundaries and ways that our research and teaching can be enhanced as we move forward in this new digital age. 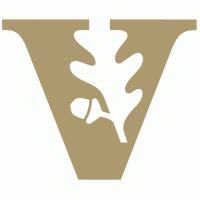 The Vandy DH Group includes members from its four HASTAC Scholar networks. Annette Joseph-Gabriel from the French Department represents Vanderbilt’s Center for Second Language Studies with Professor Todd Hughes as mentor. Zoe LeBlanc in the History Department works with the Center for Teaching under Professor Derek Bruff. The English Department’s Don Rodrigues is partnered with Professor Jay Clayton and the Curb Center for Art, Enterprise and Public Policy. And Miriam Martin in the History Department collaborates with Mona Frederick in the Robert Penn Warren Center for the Humanities. We are all extremely excited to be part of the HASTAC community and look forward to creating a vibrant scholarly and collegiate local and online atmosphere for collaboration.